I had an argument recently with some friends on Twitter (Follow me: @Scott_Kornberg) about who the best left-handed starting pitcher was in baseball. There were a number of different responses. Some people went with arguably the most dominant pitcher of the last three and a half seasons, Cliff Lee. Others, looking towards the future, were very high on the 23-year old strikeout machine Clayton Kershaw. There were some who took the side of power lefties Jon Lester and Cole Hamels. Some even made an argument for David Price to be included amongst the top. However, I was surprised at how quickly CC Sabathia, playing in the world’s largest market for the most successful team in the history of sports, was disregarded amongst the top. Only one person was adamant about putting him there. He was right. Sabathia has been dominant for a longer amount of time than Lee. He has just as many rings as Lester and Hamels, putting up better numbers than both of those pitchers. He eats far more innings than Kershaw. He has been much more consistent for a longer amount of time than Price. Lee, Hamels, Lester and Price might not even be the best pitchers on their respective teams. 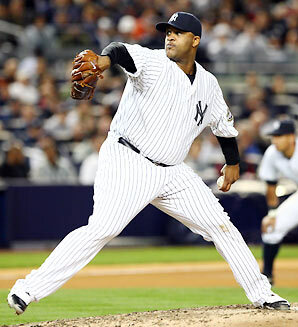 CC Sabathia is unquestionably the ace of the New York Yankees and the best left-handed pitcher in baseball. Sabathia is an intimidating presence on the mound. At six-foot seven, 290 pounds, he has the body moreso of an NFL offensive lineman than of a pitcher. He mixes a fastball that can touch 97 mph (average speed: 93.5) with a killer changeup and stomach-lurching slider. His huge frame, killer stuff and knowhow as a pitcher have given him just as many finishes inside the top five in Cy Young Award voting (four) and Cy Young Awards (one) as all of those pitchers put together. It is certainly not all about the hardware though. Sabathia pulls on the pinstripes and takes the ball in the hottest pressure-cooker, where the lights shine brightest, with the most eyes are upon him. He has led the league in shutouts three times, complete games twice, wins in each of the past two seasons and innings pitched and strikeout-to-walk ratio once, respectively. 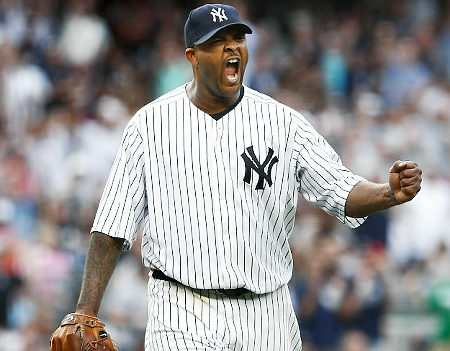 However, Sabathia is so valuable to the Yankees, and before that the Cleveland Indians and Milwaukee Brewers, because he always puts his team in a position to win, no matter what. CC Sabathia will do whatever it takes to come out on top on the scoreboard when he is on the hill. When he was traded from the Indians to Milwaukee in July of 2008, Sabathia carried the Brewers on his back. In 17 starts, he went 11-2 with a 1.65 ERA, 1.003 WHIP and 5.12 K/BB ratio. He averaged 7.2 innings pitched per outing, going at least eight innings in eight different starts while throwing seven complete games and three shutouts during that stretch. Sabathia even threw on three days’ rest on three separate occasions that year, lifting the Brewers into the playoffs for the first time since they won the World Series in 1982. Even when he does not have his good stuff, Sabathia still finds a way to do what he does best – give his team a shot to win. There have been countless starts where he has struggled through the first two or three innings, allowing three or four runs. Then you look up and Sabathia is back on the mound in the seventh inning, stopping the bleeding, keeping his team in the game and saving the bullpen. It is no coincidence that he has thrown at least 230 innings in four different seasons and is on pace to throw 267.2 this year. Of the pitchers listed above, only Lee has thrown at least 230 innings in a season even once, when he threw 231.2 between the Indians and Phillies in 2009. It is also no coincidence that Sabathia consistently wins more than almost every other pitcher. In the era of bullpen specialization, Sabathia’s ability to pitch deep into games has helped him earn 170 career victories. He has won at least 15 games in six different seasons and is on pace to win 24 games this year. Lee, Kershaw, Hamels, Lester and Price have all combined for seven 15-win seasons. Only Lester (.710) has a better career winning percentage than Sabathia’s career .649 mark. 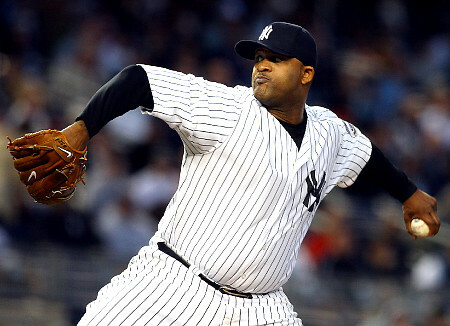 If Sabathia finishes the year as projected, he would have 181 wins at the end of 2011, when he will be 31 years old. He has a chance to become baseball’s next 300-game winner, which, similar to a batter reaching 3,000 hits, is the ultimate sign of a long and successful career for a pitcher. Keep in mind their averages are weighed down slightly by only just over half a season of baseball in 2011. However, Sabathia’s average year includes more starts pitched to a better record while throwing more innings and striking out more hitters than Lee. While Cliff Lee has been a very dominant pitcher over the past three and a half years, Sabathia has been slightly better during that same stretch. There may be other lefties who come to mind in the discussion over who is the best southpaw starter in baseball. 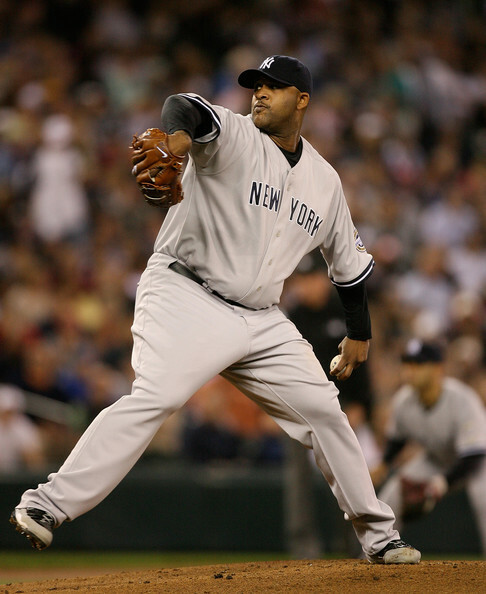 However, no one has been as dominant for such a long period of time as CC Sabathia has been. Sabathia has continued his claim to the throne with possibly his best season yet through the first half of 2011. In 20 starts, Sabathia leads the league in wins with 13, compared to just four losses. He has a 2.72 ERA and 1.160 WHIP in 145.2 innings. Sabathia is averaging 7.1 innings per start and is striking out 7.8 batters per nine innings while posting a 3.60 K/BB ratio. In a season in which pitching has dominated, no left-hander has been better than CC Sabathia. He is quite simply the greatest left-handed starting pitcher in baseball. This entry was posted on July 13, 2011 by Scott Kornberg. It was filed under New York Yankees and was tagged with Boston Red Sox, C.C. Sabathia, CC Sabathia, Clayton Kershaw, cliff lee, cole hamels, David Price, Jon Lester, Los Angeles Dodgers, New York Yankees, philadelphia phillies, Sabathia, Scott Kornberg, Tampa Bay Rays. The only person even in the argument must be Lee and Lee has even been slightly outpitched by CC over the last 3.5 years. CC’s unrelenting excellence works against him. People take his amazingness for granted.